Drawing on seven integrated design principles, the World Café methodology is a simple, effective, and flexible format for hosting large group dialogue and facilitating the decision-making process. 1) Setting: Create a “special” environment. 2) Welcome and Introduction: The host begins with a warm welcome and an introduction to the World Café process. 3) Small Group Rounds: The process begins with the first of three or more twenty minute rounds of conversation for the small group seated around a table. 4) Questions: each round is prefaced with a question specially crafted for the specific context and desired purpose of the World Café. 5) Harvest: After the small groups (and/or in between rounds, as needed), individuals are invited to share insights or other results from their conversations with the rest of the large group. These results are reflected visually in a variety of ways. The basic process is simple and simple to learn, but complexities and nuances of context, numbers, question crafting and purpose can make it optimal to use an experienced facilitator. Join Piedmont ATD to learn to facilitate the World Café model and bring this innovative decision-making model back to your organization. 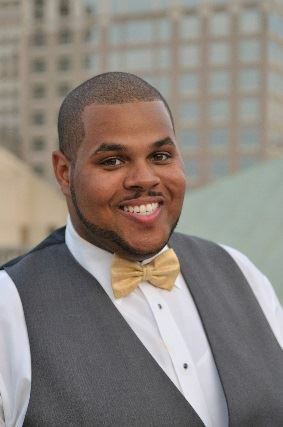 Marquis H. Barnett is an Employee Relations Analyst with the City of Winston-Salem. He is an active community servant, working with philanthropic organizations like the United Way of Forsyth County and Crosby Scholars Community Partnership. He received his Master of Sciences degree from Villanova University and his Bachelor of Sciences degree from Howard University. Mr. Barnett resides in Winston-Salem with his wife, Deniece.